On any given day, approximately 15-30 volcanoes worldwide are either in eruption or show strong signs of unrest (e.g., anomalously high rates of seismic activity, ground deformation, or gas emissions). Volcanic activity, including high-altitude eruptions of ash or emission of large volumes of gas, poses a significant hazard to people and property in the United States and worldwide. Although many volcanoes have clearly distinct phases of unrest and quiescence, a growing number of 'quiescently active' volcanoes are known to exhibit high background levels of geophysical unrest suggestive of persistent shallow magmatic activity during non-eruptive periods. An understanding of the processes that drive quiescent activity and high-background-rate volcanic seismicity (HBS) is critical for the detection of changes in these systems that signal impending changes in the volcano's behavior. 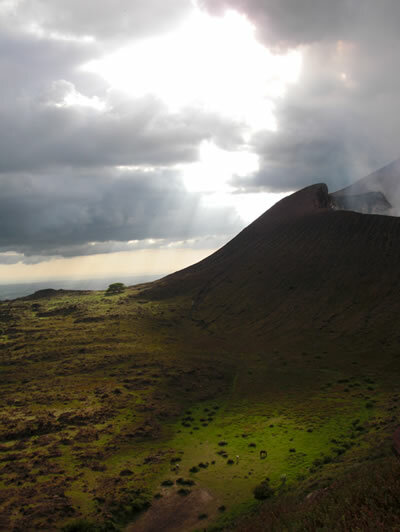 The proposed project is for an in-depth study of background magmatic and seismic activity at Telica Volcano, Nicaragua. The study consists of 1) a retrospective analysis of a long-term catalog of seismic data to determine the precise nature of changes in seismicity preceding eruptive episodes, 2) a three-year co-deployment of broadband seismic and high-rate continuous Global Positioning System networks on Telica to study the source mechanisms of background long period seismicity, deformation, and other physical processes (e.g., gravity changes) occurring within Telica's magma chamber and edifice and 3) integration of seismic and geodetic data collected from Telica to test and refine models of quiescent volcanism. The proposed study is transformative as it will result in a greatly improved understanding of the mechanism of quiescent activity and associated geophysical unrest at a representative HBS volcano, which will extend to similar poorly-understood volcanoes worldwide. This study also represents a new collaboration between two early-career researchers working in volcano seismology and volcano geodesy, and extends existing collaborative relationships between their institutions and INETER, the Nicaraguan volcano and earthquake monitoring agency. A key impact of this proposal is the provision for Ph.D. student training in the deployment, maintenance, and analysis of data from broadband seismic and geodetic networks, along with international research experience. Finally, it is anticipated that the results of the proposed study will be applicable to other volcanoes showing similar elevated background activity, including several in Alaska. The resulting context for identification of significant changes in the character of seismicity in the presence of a high background rate will greatly improve the ability of monitoring agencies worldwide to confidently forecast the likelihood of future eruptive activity in these situations. For this project UNAVCO configured and installed 8 continuous GPS sites. 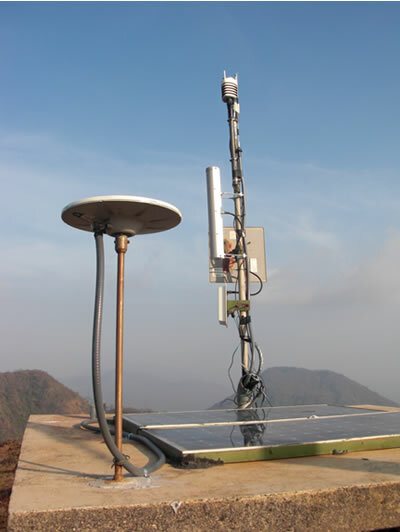 Seven of these sites were installed at existing seismic stations and one at a metrological station. Each station is collocated with seismic equipment and linked to the INETER office via a radio modem connection. Figure 1 - Principle Investigators Peter Lafemina (Penn State) and Diana Roman (University of South Florida) examine the seismic bunker at Telica North. The Telica volcano is steaming in the background. Figure 2 - East flank of Telica volcano. 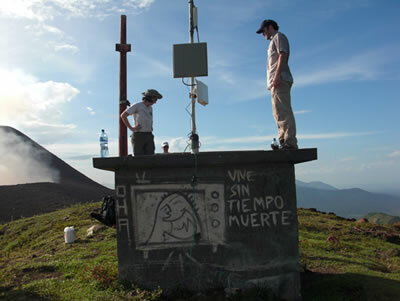 Figure 3 - The Telica North GPS station. The Vaisala metrological pack is in the background mounted to the radio communications antenna mast. 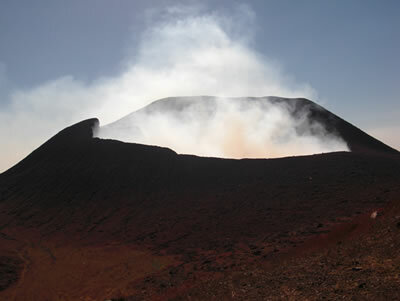 Figure 4 - Telica Volcano.